Air conditioners have found very high applicability in the current scenario of temperature increase all over the world. There are various parts to an air conditioner which when function in cohesion to produce a cool and comfortable environment within the room. In this article, we will try to understand about a particular component of an air conditioner: Compressor. How a compressor contributes to the whole process of air conditioning, different types of compressors and which one should you go for while choosing an air conditioner. Air conditioners house three components which play a crucial role in the entire process of air conditioning. These are: compressor, condenser and an evaporator. The incoming air goes through all these components and comes out cool and comfortable. Out of these components, the compressor plays the role of compressing the refrigerant to a high pressure and converting it to a high pressure, high temperature liquid which is then passed on to the condenser which takes the heat out of the liquid and releases the heat to the surroundings. The high pressure liquid air is finally passed through an expansion valve which does the function of converting the liquid refrigerant to gas and then dispensed through the evaporator into the room. It is evident now that compressors play a very important role in the air conditioning system. The proper compression of the refrigerant gas to a high pressure liquid is ensured by the compressor. There are different types of compressors for air conditioners available in market. What are they? Let us find out. The following two types of compressors are quite popular now-a-days. 2. Rotary air compressor: A typical rotary air compressor consists of a pair of rotors of a special design having very little clearance between each other. These rotors rotate in opposite directions and the air is passed through them to emerge at a higher pressure than before. There are some other kinds of air compressors as well like screw compressors, centrifugal compressors and,scroll compressors. But these are not as popular as the ones mentioned above. After seeing both the compressors, the question which comes to one’s mind is: Which one should I opt for while buying an air conditioner?. For answering this question, here we are listing the pros and cons of both the types of compressors. 2. Minimum amount of air-usage per week/day is required and that is why it is ideal for offices. 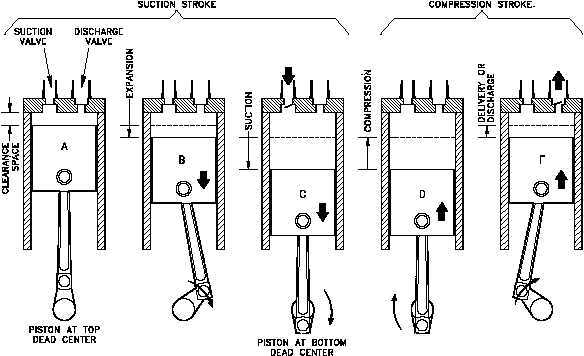 It is observed that there is a minimum amount of usage that is required in rotary air compressors to prevent the formation of water condensate which in turn leads to the problem of corrosion. Thus understanding the above factors, the choice for the right air compressor depends on the requirements of the consumer. So it is important to understand one’s requirements before choosing a particular compressor. By observing the market, we have seen that most of the air conditioners brands have reciprocating compressor whereas there are some brands, having rotary compressor, which are quite popular with the customers who are looking to buy air conditioners for a large space. Going by the typical choices of consumers, if you are looking to cool a large area for a long time (or you plan to use your air conditioner continuously for hours at a stretch like at a commercial space) then going for a rotary compressor would be a good idea. Or else, if you need the air conditioner just for your house (areas of intermittent usage of air conditioners) or a small office or a shop, where your usage wouldn’t be as high as in a industrial or commercial space, then reciprocating air compressors seem to be a good option.